In Canada, Access Copyright is working on developing blockchain solutions for book publishing, including smart contracts and an attribution ledger. The paper is offered today (January 17) by José Manuel Anta, managing director of Madrid’s International Publishing Distribution Association (IDPA). Posth’s commentary was developed as part of the association’s RENODO Project, a collaboration of the IDPA and Luis González‘s Fundación Germán Sánchez Ruipérez at Casa del Lector on various initiatives in e-learning, voice tech, artificial intelligence, book discoverability, and the semantic Web. Solutions for pre-sales, crowdfunding or otherwise raising funds. And while Posth carefully sorts a selection of blockchain projects relevant to publishers—including the ill-fated Civil, reported on here by Laura Hazard Owen at NiemanLab—there’s another outfit working on blockchain and intellectual property, including book publishing, an ocean away from Spain. 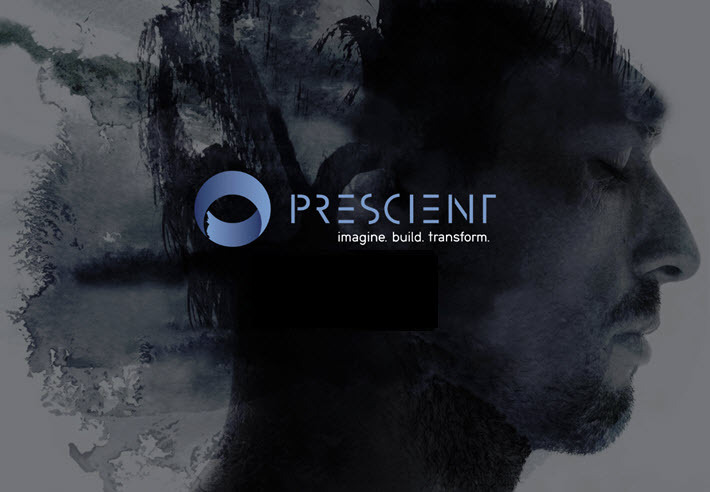 This project is called Prescient. And it’s one of North America’s bastions of copyright protection, Canada’s Access Copyright, that’s behind it. Access Copyright—better known to Publishing Perspectives as the agency responsible for collecting copyright revenues in English-language Canada during the years of the Copyright Modernization Act—has busied itself in blockchain research. If you’re walking right into the blockchain jungle for the first time, schedule about 30 minutes to watch this webinar from Access Copyright, a session from October called “Blockchain 101 for Rights Holders.” You’ll find it has a lot to offer in terms of valuable concepts. 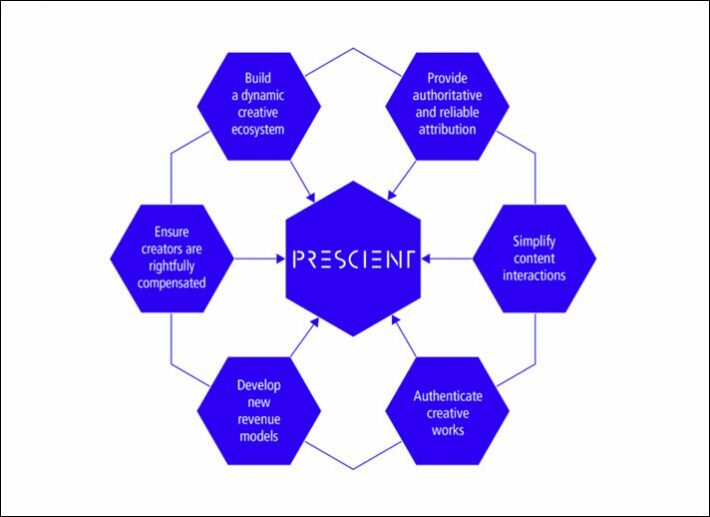 Roanie Levy , Access Copyright’s CEO and president, has led the development of a wholly owned subsidiary called Prescient, which is described as “creator-focused innovation lab, dedicated to exploring the future of rights management and content monetization through” blockchain and other technologies. It’s not necessary, Levy points out, for blockchain applications to involve cryptocurrencies. Starting with the idea of a “fan-to-fan sale of a book,” the Prescient team imagined a case in which a reader sends a book he likes to a friend, and when that friend reaches a certain point, she’s required to make a payment to unlock the rest of the book. The research included testing whether that recipient’s payment for the book would send the right portions of her money to “the publisher, the author, perhaps a percentage to the jacket cover artist, the photographer”—whoever is assigned to receive percentages. “And we also asked what if the person who recommends the book also gets a reward for having done so?” Levy says. They named the recommending reader an influencer. “It was done as a proof of concept in a sandbox.” Levy says. “The Web interface wasn’t pretty, it was patched together with the software equivalent of duct tape. But the smart contract was real. And it worked. And it was really, really exciting. What Levy and her associates had discovered was that there’s a problem at this point. Harkening back to that irony mentioned earlier, it has to do with the decentralized nature of blockchain conceptualization, integral to the technology’s basis. What the Prescient team has discovered is that others experimenting with blockchain are seeing the same thing: an initial problem of knowing whether the person identified as the copyright owner is, in fact, the copyright owner. Levy says, “This went against the promises that all these blockchain evangelists are talking about,” because the essential concept of a properly identified copyright owner isn’t assured. Levy adds that one of the great hallmarks of blockchain technology is that its ecosystem is dispersed, decentralized. 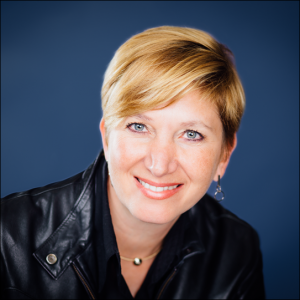 To address this issue, Levy and her Prescient colleagues have developed what they call an attribution ledger. This is the part of a blockchain/machine-learning ecosystem that would assign and identify ownership of a work to its author. So the project going on now is the attempt to create such an attribution ledger. It’s not as easy as it might sound. 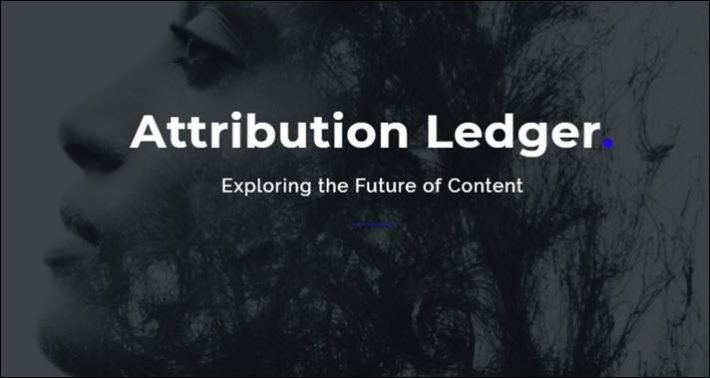 “In order to create an attribution ledger,” Levy says, “it has to have services that actually use the ledger’s information. So it’s a bit of a chicken-and-egg problem. Levy and Access Copyright’s Prescient team are now looking for partners as they work to make progress toward the needed attribution ledger in tandem with the fan-to-fan concept of a sale, she says. And many will appreciate that, as with Posth’s RENODO research, the Access Copyright Prescient team isn’t running on cheerleading energy. There’s a reality-based, copyright-grounded sense of responsibility in place, which is what book publishing needs to find the right opportunities in blockchain. In fact, Levy says blockchain will not replace copyright because it will not eliminate piracy. More from Publishing Perspectives on blockchain is here, on Access Copyright is here.